Miami, a major port city on the coast of the Atlantic is also, consequentially, a major cosmopolitan city in the United States. From having beautiful beaches to one of the tallest skylines, Miami is a leader in business, economy, culture, media, tourism and entertainment. To stay in the lead in such a fast-paced race of establishing individual careers, pursuing the CSD training in Miami will give you an edge over others. Our institute offers a detailed workshop spanned over a period of 5 days wherein the trainer will take you from the basics to the advanced aspects of the CSD course in Miami. Beginning with introductory lectures on day 1 of the coaching followed by material provided on the electives on the second day, there is appropriate usage of both e-learning as well as classroom practice sessions. Over the next two days, there will be extensive demos by the tutor on the technical track required for the CSD certification in Miami. On the last day, you will be given a summary of the course that will strengthen your practical experience of working with Scrum tools. At a very reasonable cost, you get a lot of benefits when you register yourself for the CSD training in Miami. You get PDUs and SEUs upon completion of the 5-day training along with a 2-year Scrum Alliance membership. Our academy brings to you the certified scrum developer certification in Miami that has been found to be satisfactory by all our trainees across the globe. 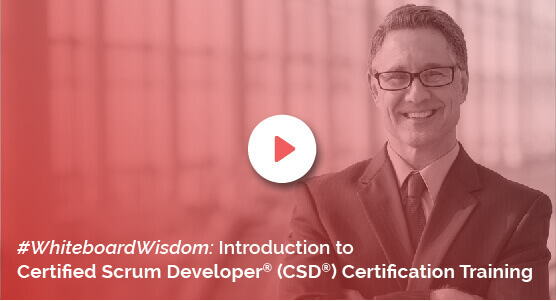 Enrol yourself with KnowledgeHut and get the competitive Certified Scrum Developer training in Miami from the experts in the field at a very reasonable fee structure. Take a step in the right direction of building a secure future for yourself.